Congregation Shir Hadash is celebrating 30 years of Jewish community, prayer, music, learning, and justice work in Milwaukee. In 1989, two separate havurot were searching for meaningful and fulfilling religious homes. The members of these havurot had never heard of the Reconstructionist Movement within Judaism, but after Rabbi David Brusin, a member of the first graduating class of the Reconstructionist Rabbinical College, met with them they wanted to learn more. At his suggestion. they attended a service at the Jewish Reconstructionist Congregation, in Evanston, Illinois. Those catalysts led the havurot to merge and to found Milwaukee’s only Reconstructionist synagogue, Congregation Shir Hadash. Rabbi Brusin moved from his advisory role to become Shir’s rabbi in 1993, a position he proudly held for twenty one years until he retired in 2014. 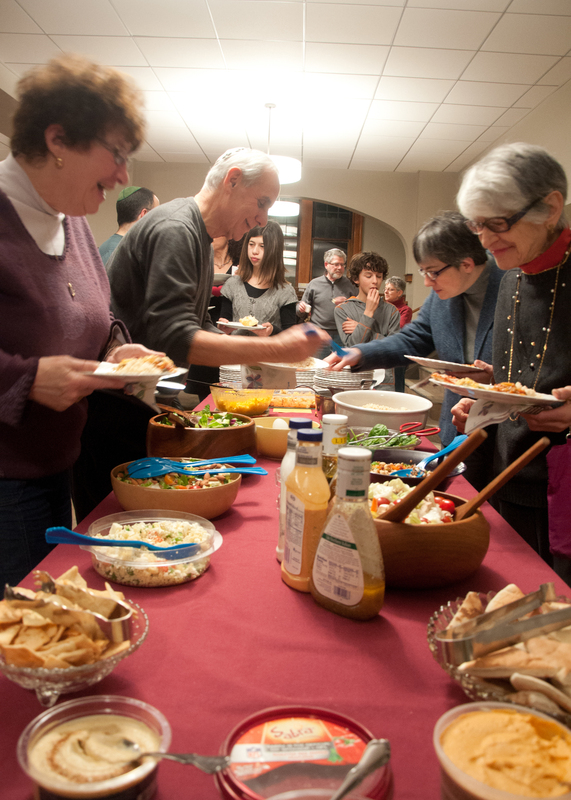 Congregation Shir Hadash was the first Milwaukee Jewish congregation to align itself with MICAH (Milwaukee Inner City Churches Allied for Hope), an interfaith and interdenominational group that works toward social justice in our community. Rabbi David was one of three rabbis in Milwaukee who founded Tikkun Ha-Ir (Repairing Milwaukee) that likewise works toward social justice in our community. From the beginning, the leadership of the synagogue proposed a different kind of synagogue, one without its own building. By partnering with like-minded organizations and sharing sacred space, Shir could focus its resources on prayer, programming, and people. While Shir has been in a number of locations over its almost 30 years, it continues to create a home without walls that reaches out to embrace individuals wherever they are in their search for a meaningful, fulfilling religious and community experience. Congregation Shir Hadash has been located at its current home at the Plymouth Church UCC on Milwaukee's East Side since 2013 and is the only non-orthodox congregation within the city limits.